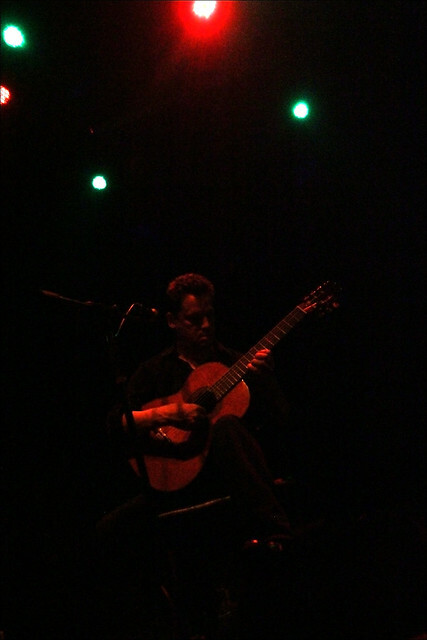 A snuck-in photo from the Mark Kozelek gig. Never had been so glad to have ISO6400, and a DSLR swivel screen. Back in the 90s, I collected tapes. I took pride in my tape collection, some of what I had were locally released, but hard enough to find. CD’s? I had a few. One of them was the Retrospective record from The Red House Painters. See, I had a 4AD records period. I had Pixies’ Doolittle, Cocteau Twins’ Victorialand. Radio didn’t play any of these, so that Red House Painters was a blind buy, a really good one. It was on sale at CD Warehouse, when they still had a shop atop SM Megamall. I loved the record, but I didn’t consume it as a whole. Once I had the chance to listen to some other songs from other albums, I had considered myself a fan. So, when news got to me that Mark Kozelek (who lead Red House Painters) had a solo gig last Sunday over here in Shanghai, I tried to listen to the newer Sun Kil Moon material, just so I wouldn’t be left out. This wasn’t a Red House Painters retrospective gig, so I could only hope as much that the old stuff will be played. Propped in front of the Mao Live House crowd, there wasn’t much light to even test-shoot the stage. Mark got out, camera/cameraphone flashes started spewing light, and the first thing that came out from the man at the stage was that we weren’t supposed to have cameras, and that he requested that the almost non-existent light be dimmer. He started with a few tracks from Sun Kil Moon‘s Tiny Cities record, which I am familiar with. There wasn’t much of a difference hearing the recorded material with the live version, but this guy re-tuning his guitar after every song, his songs and I have history. I was soaking in it. There was a constant struggle against the ambient noise of side-talk from the crowd who wasn’t really there, and this was brought out every three or four songs, and was well understandable. He made a few jokes about Chinese kids not leaving their folks’ home until well into their 30s (I forget the context of why this was even brought up), and about a guy wearing a 4AD shirt. 4AD has been dead 15 years he said. Anyone who was familiar with Kozelek’s work was making their voices heard for requests, and, as expected, they were Red House Painters’ songs. The favorite? Have You Forgotten, of course. Were we treated to any? We had a shortened version of Mistress, and Summer Dress. I would’ve requested for Drop, or Void, though I don’t that would fit right into the finger-picking display we were all witnessing. There was an encore, and sometime in that encore, Mark commented on why the crowd had such nice cameras, wondering what our jobs were. He asked ME what I did for a living, and I think I gave the most stateside answer I could think of: Computers! I walked out of the venue without any CD’s or any merchandise offered in hand. The person to my left in the crowd, I think, bought everything on the table. I thought to myself, I was there for a very personal reason, and even if I didn’t have the chance to take ONE picture, I’d be alright. Even if there was no Red House Painters in the songlist, you wouldn’t see me complaining. Really.